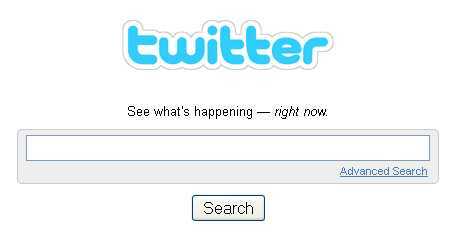 Twitter is the hugest phenomenon of today’s Internet. Connecting to people real-time (even if they are offline), getting instant updates from friends, being up-to-date with most recent news – these are just few advantages of the tool. Another possibility to make the most of Twitter is to use it for shopping. Twitter offers an advanced search platform that you can use to find out what real people say about the retailer you are considering or a product you want to buy. Consider these quick tips on what operators you can use to get properly prepared for your purchase. Do you want to find negative reviews by the unsatisfied customer? Try to search Twitter for the retailer’s name and include 🙁 to your search – [retailer’s name :(] search will return tweets by displeased people criticizing some news and products. Check what reputable sources say about the store or product you are considering. Try to search for the store name and add from:twitter_username to restrict search results to what the Twitter user was saying. Look for product or retailer mentions near you: use near:city_name advanced operator. Search for product- or retailer-related questions: add ? to your search query. See what others ask him – use this advanced search command: [@retailer_name] to find all Tweets addressed to him. You can also try to get the retailers find you! Most businesses monitor Twitter for their names mentions. Try to tweet using the retailer’s brand name and in some time you may hear from him! So, no matter how much you might be tired of Twitter-related articles and guides, there is no denying the fact that Twitter is an awesome tool with unlimited yet-to-be-explored spheres of usage. So don’t forget to use it before buying anything! Old Navy and Gap are using twitter to post online sales. I would also say you can use Twitter to make a call out for coupon codes. Very few of your friends are going to be on the Coupon Freaks group. Although thanks for telling me about it! @Brian, thanks for the additions! @David, thanks for the link! It’s a wonderful case study! The Twitter search feature sure does open up some very unique possibilities. Zappos.com has been pretty much the leader of companies on Twitter. They encourage their employees to be on Twitter and not only tweet with each other, but with their customers. Tony, their CEO, is very active with twitter. More companies should embrace it as passionate. That’s right. Desperate by the previous web host I also tweeted once hugely about what I experienced there and how they failed themselves by losing a good customer and tweeted about my new web host and why I was satisfied with the new one. Twitter seems like sharing place of emotions sometimes. The world is watching. You share what you feel true and you expect that the world is reading what you have to say. As a user who also monitors Twitter for corporate purposes (checking for mentions of us), it’s an incredible tool that certainly goes both ways. We teach live CPA Review classes for accountants and when we launched our new webcast service, it was amazing to be able to tweet with a student who was in a location in Southern California while we broadcast the classes from Northern California. He even got a shout-out from our instructor after requesting one on Twitter – how awesome is that? Stumble & Google surfing led me to right to you so i have to say thanks. Was just researching after watching a set of ‘what is twitter’ and ‘tweet how to’ videos. Have to say reading for some reasons sticks the point a bit better. I never would have thought to price hunt & product search with Twitter, wonderful idea. If you dont mind I would love to quote you in my next post. You cover some great real world uses for everyday folks. lol, of course…. you can find me on twitter 🙂 tweet ya later. Everyone should check out http://www.twitshop.com. It pulls in all forsale and classified-like tweets and makes them searchable. Seems to work really well. They are adding location-based searches too, which will really help narrow down the searches. Testing out a social shopping service and would love some feedback regarding the service.